Gotham made my pick as the best fancy lunch spot for 2017 and this NYC institution just continues to wow me in every way. My last visit I stopped in for a relaxing meal at the bar and opted for the three course Greenmarket lunch. 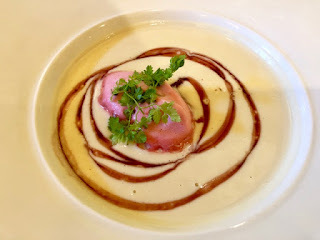 First Course- Roasted Celery & Beet Root Soup with cranberry foam. 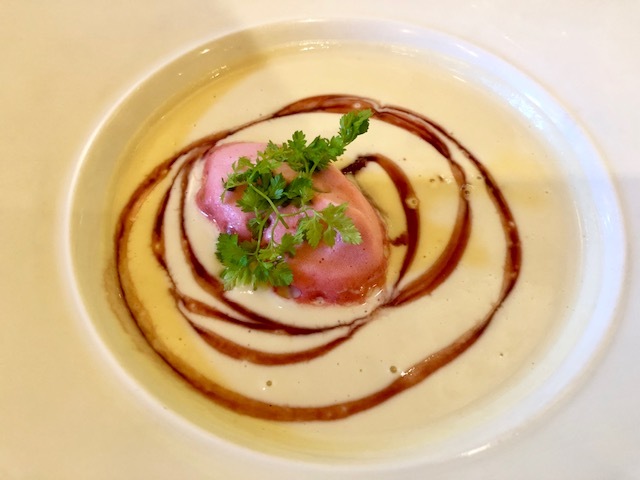 This was so creamy and smooth it could almost been seen as a veloute but with a distinctly lighter finish, while the drizzle of cranberry foam added a seasonal warmth to the dish. 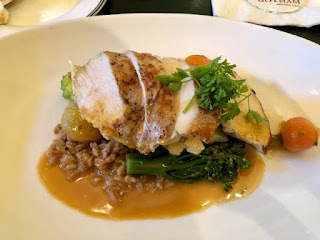 Second Course- Free Range Chicken with farro, broccolini, cauliflower and cippolini onion in a charred meyer lemon sauce. 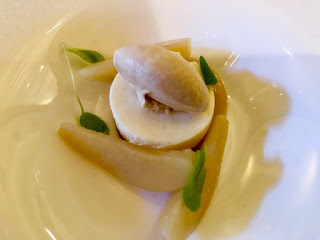 Third Course- Brown Butter Parfait with with poached pear, brown sugar cookie and smoked cinnamon ice cream. This was actually the very first time I veered away from the signature Gotham Chocolate Cake and it was every bit as fabulous. I absolutely loved the crunchy brown sugar cookie crumbles on top of the fluffy brown butter parfait. Gotham continues to be one of the best restaurants in New York City and starting next Monday guests can enjoy their fantastic food for a fraction of the price during Winter Restaurant Week.